Whether our team of engineers reviewed your designs and prototyped your products or not, our advanced manufacturing processes are streamlined to ensure quality and performance. With HK Metalcraft’s commitment to delivering unparalleled customer service and satisfaction, we’ve been innovating the precision metal stamping manufacturing process since the 1920s. By working with our team of engineers, you can rest assured that your products will be manufactured with state-of-the-art technologies and equipment. How does the manufacturing process work at HK Metalcraft? At HK Metalcraft, the manufacturing process depends on your needs. In some cases, we’ll need to review your product designs before we can begin manufacturing the products. In other cases, we can use the unique specifications you already have in order to begin the manufacturing process. What are HK Metalcraft’s manufacturing capabilities? Our facilities house 25 mechanical power presses that include Horizontal, Inclined, and Vertical machines. These machines range in size from 6 tons to 150 tons and have speeds from 50 to 1,100 strokes per minute. Every piece of equipment in our facility is fully automated and features automatic feeds for materials. Does HK Metalcraft offer additional manufacturing services? Because we are committed to customer satisfaction, we offer value added services and process in addition to the manufacturing of precision metal stampings. The manufacturing of your custom washers, gaskets, or other small metal components is only one phase of the production process. At HK Metalcraft, we streamline the production process by offering design support, prototyping, and supply chain management to ensure your products are made with quality metal stampings. 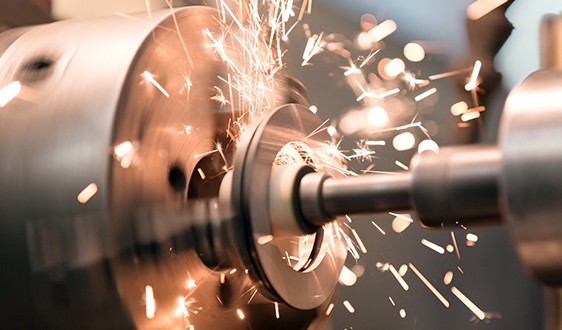 Are you ready to manufacture your products for performance?